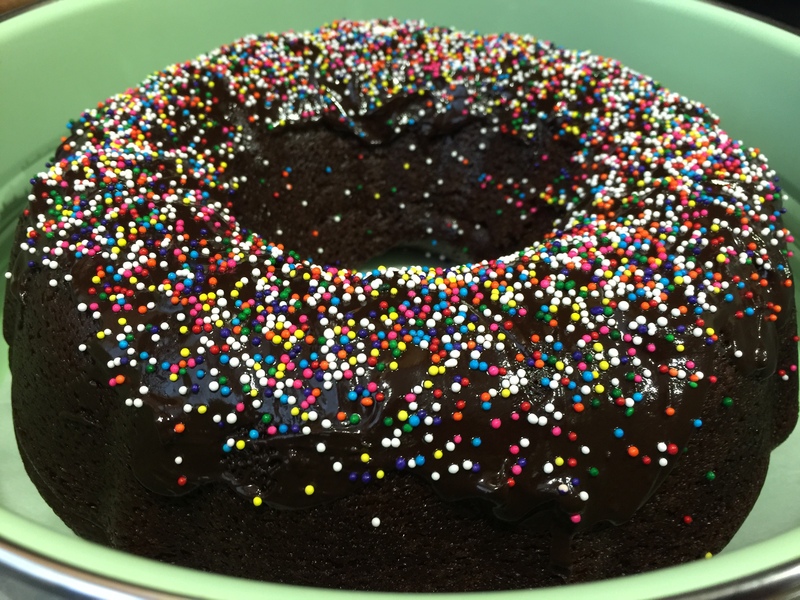 Recommended: Chocolate Sour Cream Bundt Cake from Two Peas & Their Pod – Recipes & Food Writings. Things have been insanely busy with me recently, but that didn’t mean I stopped cooking or baking! That will never stop. I just got too busy to document all the processes with pictures so that I can have a blog post to update. Recently, I had some sour cream that I needed to use up before it went bad. So I turned to Google to help me find a recipe. 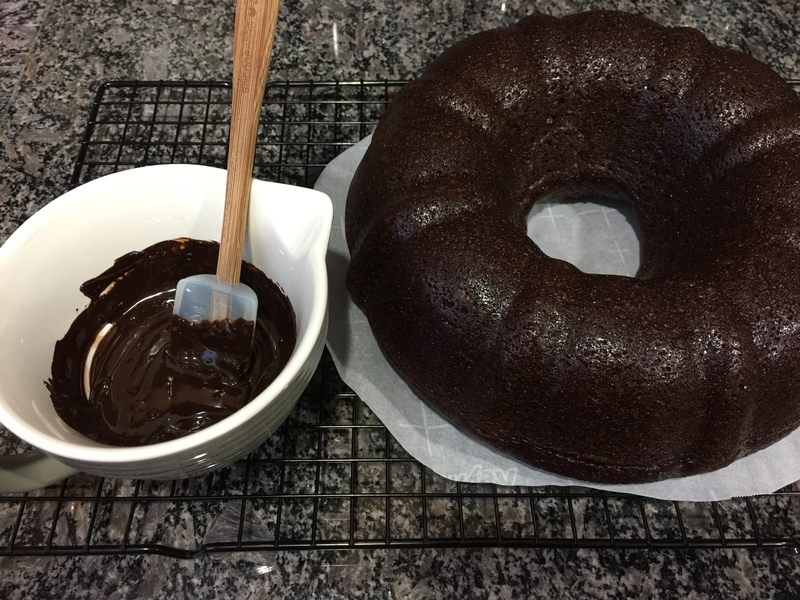 I wanted something with chocolate, but a bundt cake since you don’t really need a lot of an icing or a glaze for the cake. 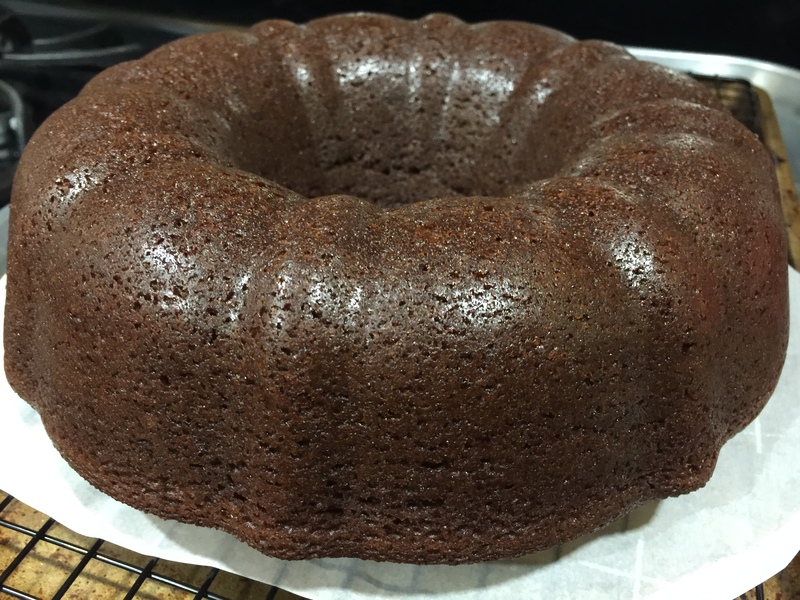 After looking through several options, I came across the blog of Two Peas & Their Pod and a recipe for Chocolate Sour Cream Bundt Cake. The recipe is very easy to follow and is really quick to toss together. I’ve made the cake three times now to bring to work and everyone has absolutely loved it. Though I did make a few changes to the original recipe. For the cake, you have to heat a mixture of unsalted butter, water, cocoa powder, and salt. I looooove the flavor of coffee with chocolate. 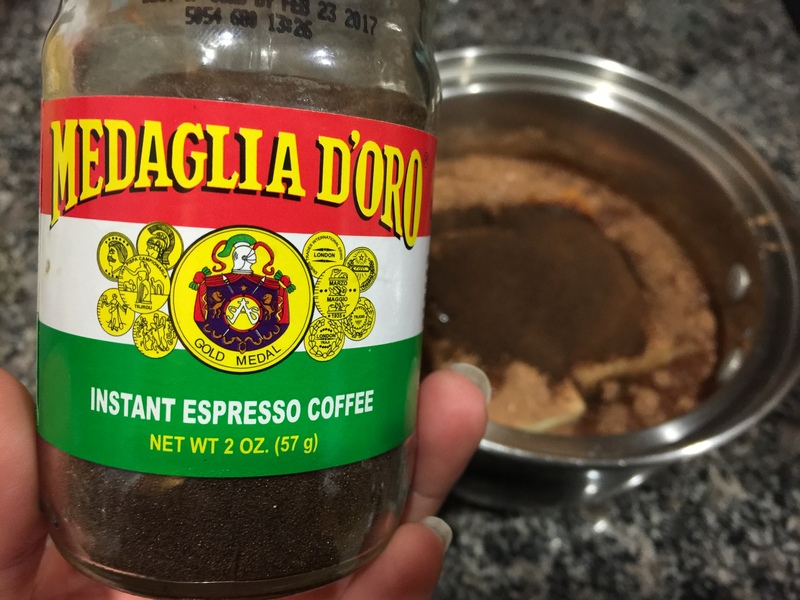 So despite the original recipe not having any, I added one and a half tablespoons of instant espresso powder. The original recipe also had a chocolate glaze for it that calls for heavy cream. I rarely have that in the house, despite all the baking that I do, so I went with an easy chocolate ganache. It’s just 1/3 of a cup of semi-sweet chocolate chips, 1 tablespoon unsalted butter, and 1 teaspoon corn syrup melted and stirred until smooth. Then spread that over the top of the cake. And the final thing that I added that the recipe didn’t call for – rainbow sprinkles. It just makes it look so happy and festive. Plus it adds a little bit of sweet crunch to the cake that’s moist and melt in your mouth. I love this recipe and hope you will give it a try too! Previous Post Recipe: Sweet Potato Cake with Cranberry Orange Relish. Next Post Recipe: Vegan Chili with tofu. Thank you, that’s what I was thinking. I don’t bake much, so I wanted to be sure. :). It never hurts to check. 🙂 Good luck with the cake! And feel free to reach out if you have any other questions! I think I answered my own question…because of the sour cream, you need baking soda. If it were a standard recipe, baking powder. The recipe on the side of the tin has a bit of vinegar in it. The acid wants soda rather than powder. Whew, baking is complicated, but now I’m feeling better and will stick with the recipe. It worked and was delicious. YUM! Thanks for the heads up for this cake. Ted loved it.